Both average life expectancy and the prevalence of diabetes are continuing to rise. It is estimated at least 20% of older Caucasian adults have type 2 diabetes, and more than half of these individuals are not aware they have diabetes. There is an even higher prevalence in other ethnic groups, particularly First Nations and East Asian populations. Due to the discovery of insulin in 1922, there are a greater number of older adults living with type 1 diabetes as well. Managing diabetes in the older adult can present unique challenges. Age-related changes can mean that some symptoms will be harder to identify. Physical limitations and cognitive impairment in some older adults can limit or cause challenges to self-management of diabetes. Older persons with diabetes may have fewer symptoms or decreased awareness of low blood glucose. Symptoms such as confusion and disorientation may be due to hypoglycemia. More frequent monitoring during these times may be required to determine if hypoglycemia is occurring. Hypoglycemia can also lead to poor balance and increase the risk of falls. Glucose tablets or sugar dissolved in water are the preferred treatment for low blood glucose levels because they are absorbed more quickly than orange juice. Older adults are frequently on multiple medications and may have kidney or liver problems, which may lead to changes in the breakdown of medications. Often diabetes medications may need to be adjusted or changed as a person ages. A pharmacist is a good resource to review medications. Eating healthy is important for managing diabetes. Many older people are at risk of under nutrition due to loss of appetite, altered taste and smell, swallowing difficulties or eating difficulties due to dental disease. Some may also forget to eat or they may have difficulty shopping or preparing meals. Arranging a meal delivery service may also be helpful. Muscle mass and muscle strength decline with age and may be worse with diabetes. Physical activity including both aerobic and resistance exercises have been shown to improve health and well-being and prevent falls. Short walks or chair exercises under supervision, are very helpful. Many community or seniors centres offer age-appropriate activities. 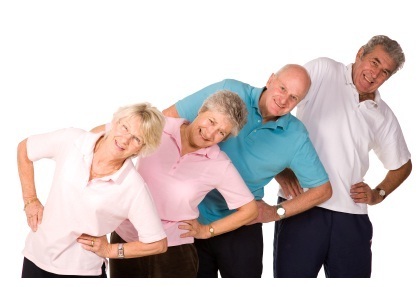 The SMART (Seniors Maintaining Active Roles Together) Program is available in Waterloo Wellington. It is a national evidence based gentle exercise and falls prevention program to assist older adults in maintaining or improving their functional fitness and independence. To find programs available in your community, click here. 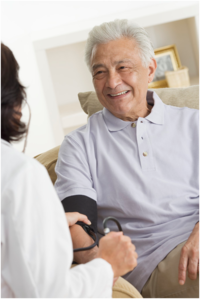 Older adults with known or unknown diabetes may have symptoms of fatigue or weight loss. They may also have frequent urination or sometimes more frequent urinary tract infections. Having to get up during the night to urinate, may increase the risk of falls. More frequent monitoring may be required to determine if hyperglycemia is causing these problems. Nearly 1 in 5 older adults with diabetes report visual impairment. Hearing loss is twice as common in people with diabetes at it is in those who don't have the disease. Regular eye exams and hearing tests should be performed.